Great Saltee Island is one of a pair of Islands located 3 to 4 miles off the Southern Coast of County Wexford in ireland. 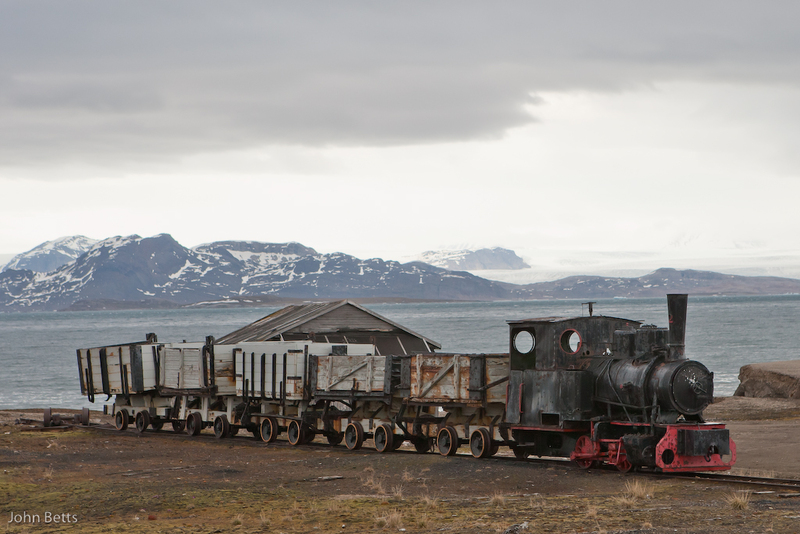 It is privately owned by the Neale family but unoccupied. Great Saltee is approximately 90 hectares in size and during May - September every year becomes the breeding home to around 3,000 pairs of Northern Gannets. There is of course alot of other Wildlife on the Islands where many migrants stop over such as Willow Warblers, Wheatear and Linnets but also the Island has a few Puffins, Razorbills, Guillemots and Shags. 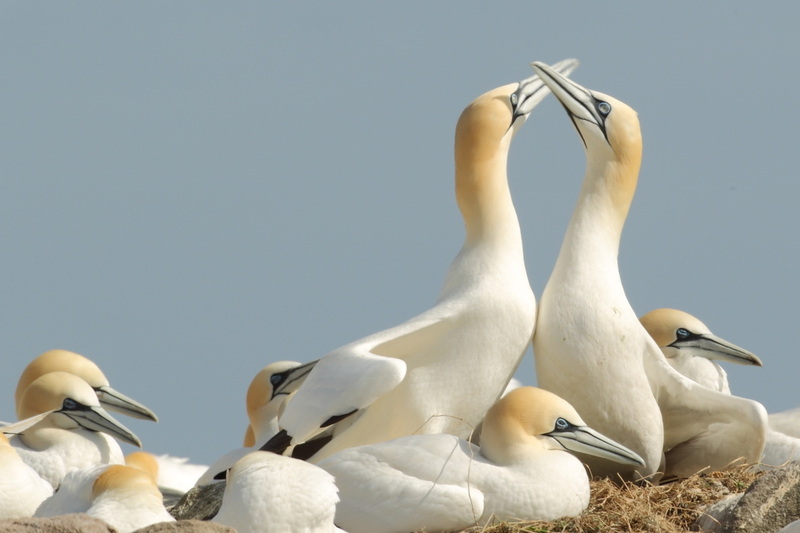 Gannets often stay together for many years but prior to breeding re-introduce themselves in a manner of ways the most common being 'billing' where they caress eachothers bills. 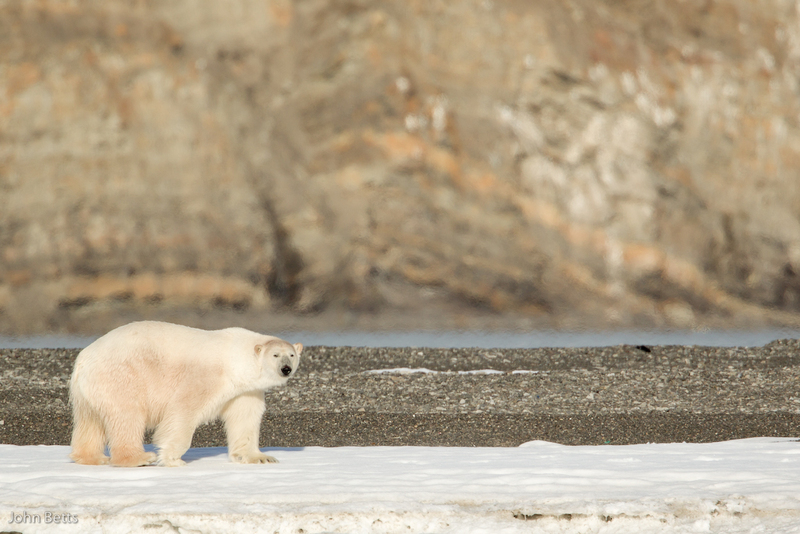 Getting to know eachother is not done in private but in the relative safety of a colony. 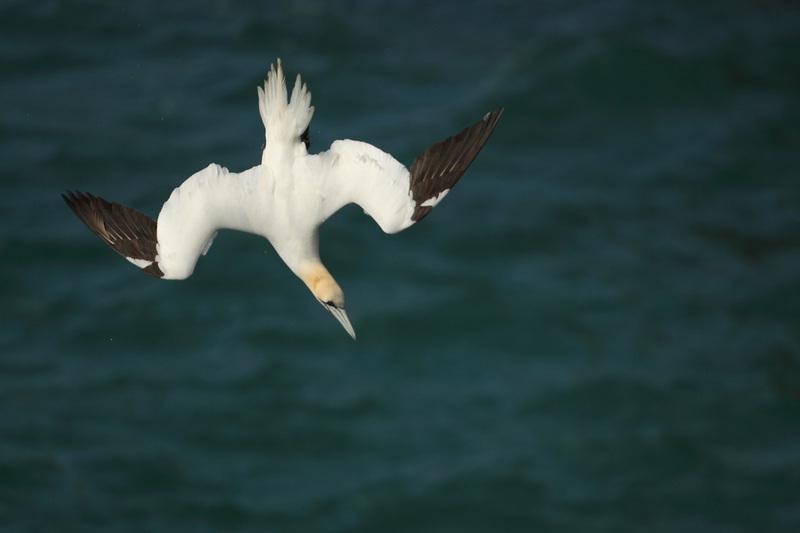 It is claimed that 70% of the worlds breeding Northern Gannets takes place on Ireland and UK shorelines so around 185,000 pairs across British and Irish coastlines. 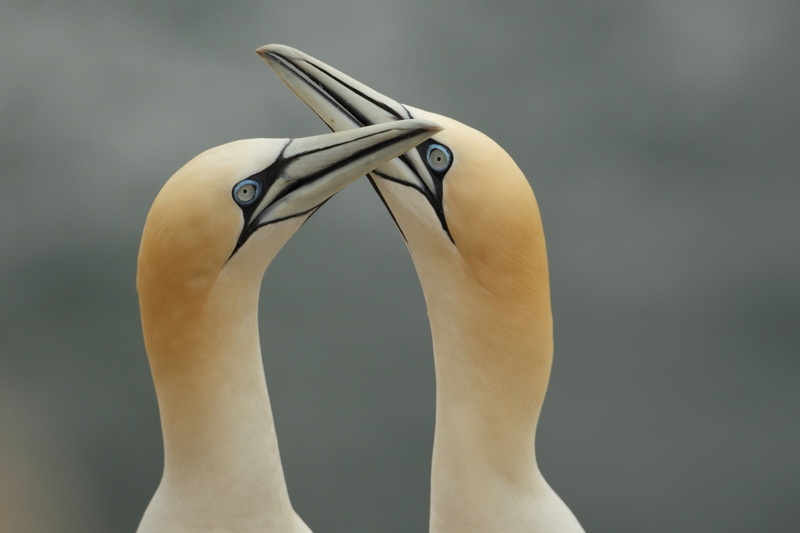 The majority of these pairs are found in Scotland and Scottish Isles but Saltee has 3,000 pairs. 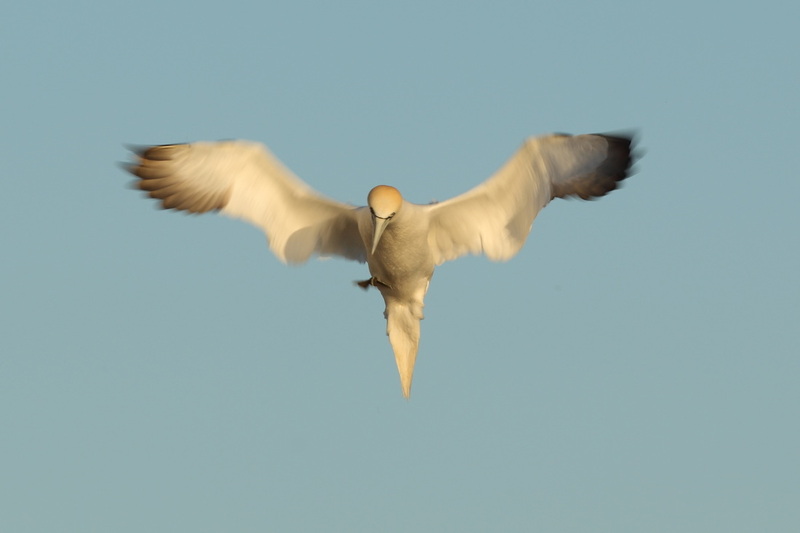 Gannets are protected in the UK even though their conservation status is 'least concern' and whilst localised predation can impact on the breeding numbers their biggest threat unsurprisingly is from man and over fishing mackerel and herring the Gannets preferred diet. The exception to this rule is in Ness where the inhabitants are permitted to cull 2,000 annually as the gannet is a local delicacy. 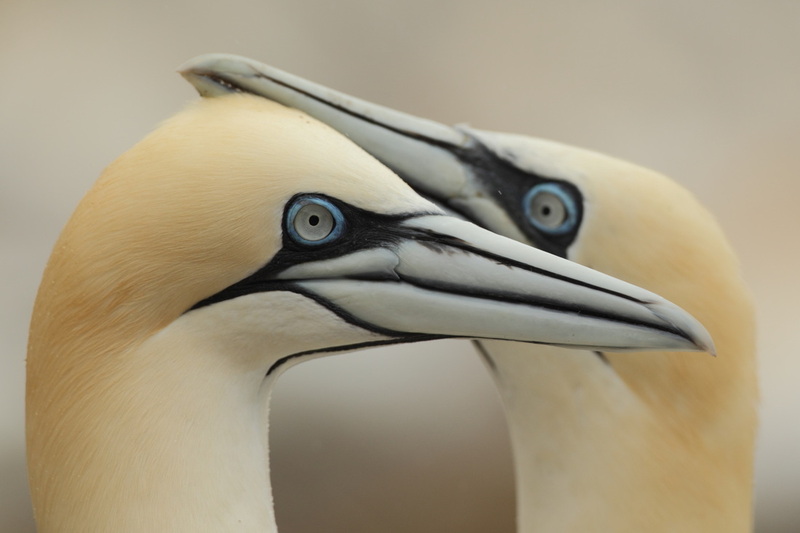 Gannets breed at 5 years and can live to be 35 years old though generally likely age is 17 - 20 years. They lay 1 egg which is incubated for 4 - 5 weeks with young fledging at 12 weeks. 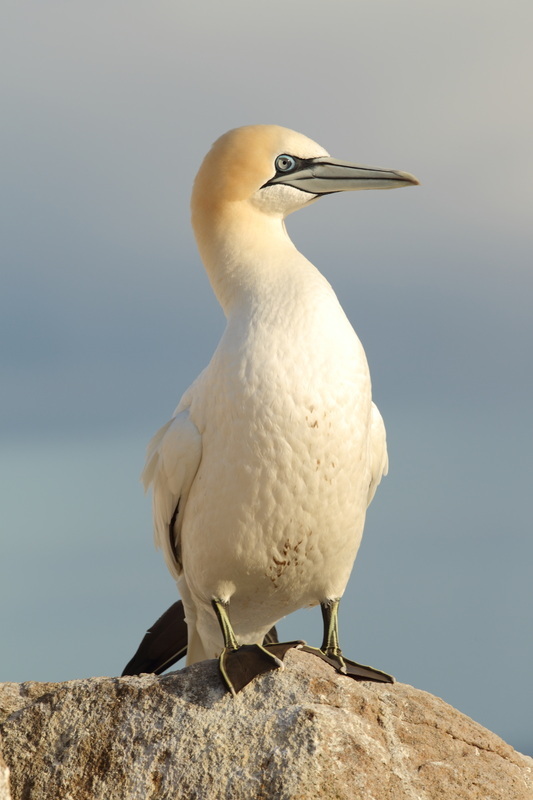 Apart from Saltee gannets can be found in Faroe Islands, Iceland, Norway, Grassholm Wales, Bempton Northumberland, Shetlands, St Kilda Orkneys, Bass Rock Northumberland and Quebec canada. 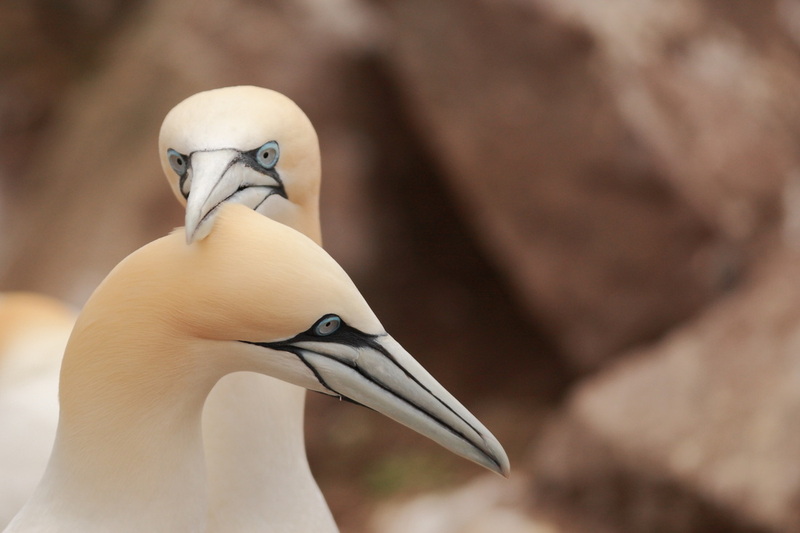 It is considered that the biggest single colony of Northern Gannets can be found on Bonnaventure Island Quebec estimated 60,000 pairs however St Kilda claims to have around 60,000 pairs with Bass Rock 50,000 pairs. Either way these 3 locations are home to 65% of the worlds breeding Northern Gannet. 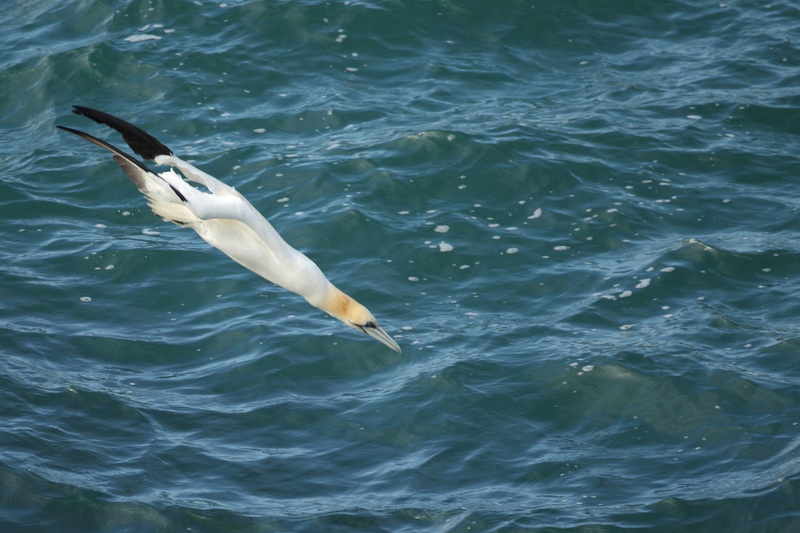 As the Gannet hits the water at around 60 mph airbags around their neck and throat are deployed to absorb impact and whilst it is estimated they can reach depths of 15 metres the more regular diving depth is a shallow 5 - 7 metres.